WHiST is managed by an elected committee, of women who live and/or work in South Tyneside. The committee is responsible for ensuring that WHiST’s continues to work towards its mission and aims, addresses local need, fulfils contractual agreements and comply with quality standards. 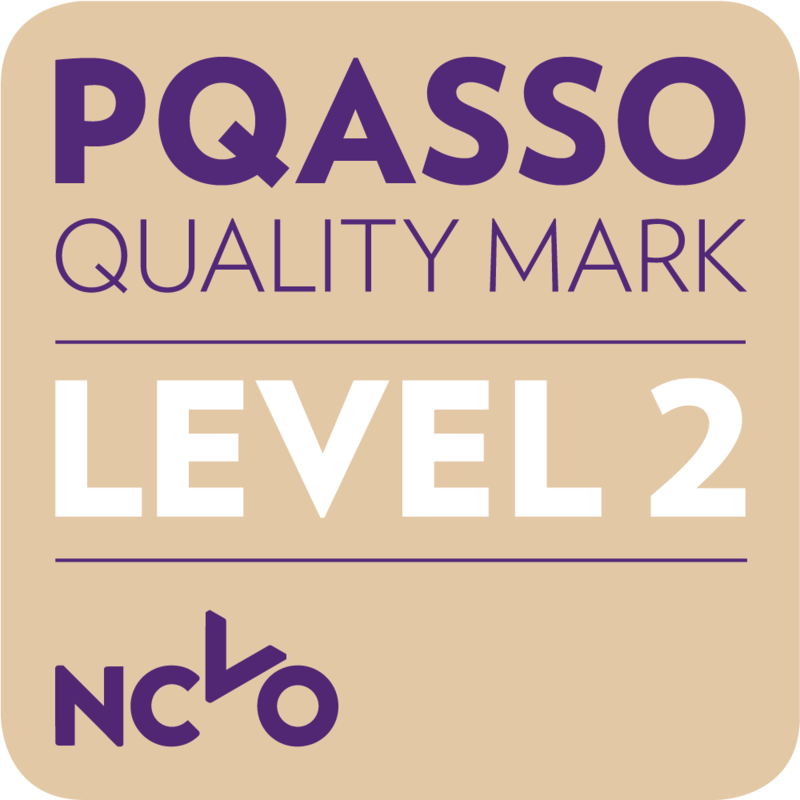 WHiST has a PQASSO quality mark for its Governance standards. WHiST’s team has a broad base of knowledge and skills and years of experience supporting women’s wellbeing services. Eve Allan Eve joined the Management Committee in 2017. She was involved in our Volunteering project and offers services to other women through this support. She is a qualified nurse specialising in mental health and has been a lay member of the Quality Care Commission. Kate Bull Kate is a fully qualified counsellor and has a psychology degree. She works as an outdoor counsellor in South Tyneside. She came to WHiST in 2012 on placement from college to gain the experience needed to qualify as a counsellor. She has previously worked at a GP practice and counselling services and she has been a senior supervisor with Family Lives offering support to families in crisis. She fully supports the philosophy of WHiST and has extensive experience and knowledge to offer us. Kate has been the Vice Chair since 2016. Donna Di Stefano Donna came to WHiST in 2000 seeking help with some problems she was having. She did a reflexology course which she really enjoyed. She then progressed on to college and became a fully qualified therapist. She now offers her therapeutic skills to other women on a voluntary basis. She also does office cover, offers the meet and greet service for new members, she helps with fundraising events she attends meetings, gives talks about WHiST for other groups and agencies and helps with whatever needs attending to. Amy Lamb Amy is a solicitor in training with David Gray, she joined the Committee last year. She has been instrumental in setting up the legal advice service available to our members seeing women from WHiST if this easier for them. Amy has concentrated on Family Law over the past year and is committed to retaining the core values of WHiST. Jeanette Telfer Chair. Jeanette has been involved with WHiST for 19 years. Jeanette’s career background was clerical and sales which came to an abrupt end several years ago due to spinal problems. She came to Whist to join a Tai Chi course 19 years ago and she still does Tai Chi on a regular basis. When she was well enough she enrolled on courses at Whist which helped her to manage her health conditions. She progressed on to a Volunteer skills course and started volunteering at Whist organising the Library. Due to the variety of tasks and the support of Whist she was able to do a lot more including helping to organise events at Whist, doing office cover, and representing Whist at events and strategic meetings outside of Whist. She has also been a volunteer for Arthritis Care – delivering pain management courses, The Credit Union Bank, Sight Services, and has completed a 3 year term as a Public Governor for Older Peoples Services, for NTW, Foundation Trust. She became a Committee Member to support Whist staff as she considers it to be an invaluable organisation that she is proud to be part of. Joyce Welsh (Local Authority representative) Cllr Joyce Welsh of Whitburn and Marsden Wards sits on the committee as a representative of the Local Authority. She has asked us to express her honour at being involved in WHiST which she considers to be an excellent and worthwhile organisation. Chris Westbury Chris first came to WHiST in the early days of the project and was involved those discussions that initially set up the group. Chris joined WHiST as a volunteer in 2009 after a successful career in Social Work. She has been a committed volunteer and supporter of the project since then.